In the second year of its collaboration with Stanford Pre-Collegiate Studies, Esol Education is extending an opportunity for UAE students to join its summer cohort at the Stanford Pre-Collegiate International Institutes, a prestigious, two-week residential program at Stanford University. 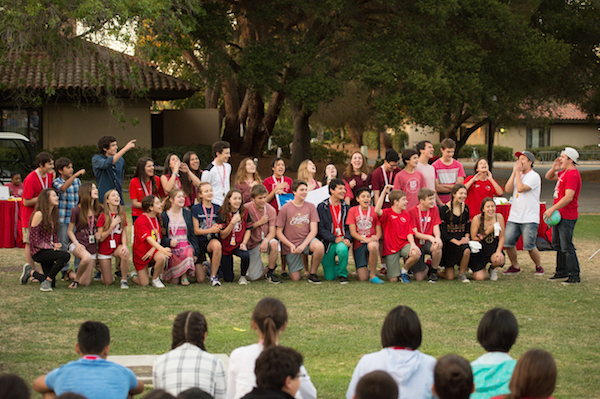 To be held from August 8 to 20, 2017, the program offers academically talented students ages 14-17 the opportunity to experience university life at Stanford, with engaging, advanced content, skills development courses and field trips. The courses range from sciences and engineering to writing and humanities and focus on concepts such as creativity, leadership, design-thinking, problem-solving, and communication. Students who participate in the program will share their interests and abilities with other international students and will be given opportunities to enrich and accelerate their academic pursuits. Students will also learn about the US college admissions process and about resources and services available to international students at US universities. As an educational collaborator with Stanford’s Pre-Collegiate Studies, Esol Education will conduct the selection process and review all applications, which must include an essay, academic work samples, teacher recommendations, academic records and external test scores. A personal interview may also be required. “We are pleased that Stanford Pre-Collegiate Studies has selected Esol Education as a collaborator for the second year running. The 2016 cohort was very successful, allowing our students to meet and learn from their peers, as well as industry leaders. The students returned energized, inspired and highly motivated to succeed,” added Mr. Abushakra. Content: University level courses, labs and workshops across a range of subjects including humanities, science, engineering, design thinking and business.